Sarah Ewart on her Northern Ireland abortion case, Scottish writer Janice Galloway's short stories, the politics of body hair, and keeping family secrets. 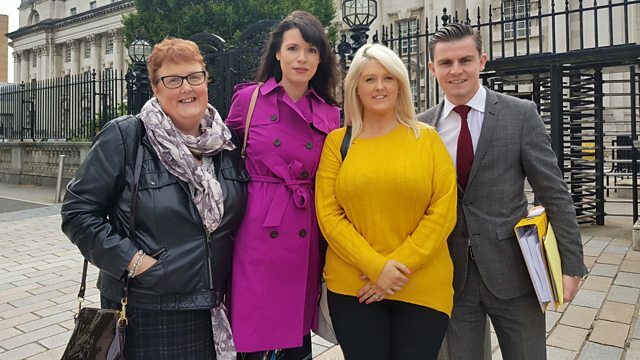 Sarah Ewart has brought a case against the Northern Ireland Department of Health and Justice for breaching her human rights. Six years ago she travelled to England to terminate a pregnancy for a fatal foetal abnormality. She discusses her decision to bring this action. Scottish writer Janice Galloway talks about Jellyfish, her collection of short stories. Januhairy is a month-long campaign urging women to embrace their body-hair - we ask if there's a hierarchy when it comes to women and body hair? And, the third in our series family secrets - Jess wanted to talk to us about the impact of a family secret she discovered when she was just fourteen.